Korn have turned to an unusual replacement for usual bassist Reginald ‘Fieldy’ Arvizu on an upcoming series of South American tour dates, enlisting the talents of 12-year-old Tye Trujillo, otherwise known as the son of Metallica's Robert Trujillo. 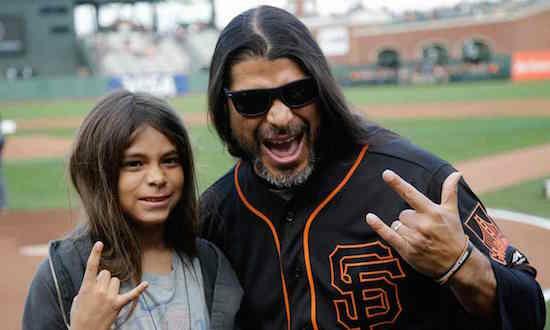 There's no doubt his father's own expertise have put him in good stead to step up to the role while Arvizu is unable to tour with the nu-metallers, with the younger Trujillo already having formed his own band, The Helmets, at his young age in which he has put to use his skills as a bassist. Taking to their Facebook page to announce the unusual replacement, Korn said: "We are bummed Fieldy can’t join us on this run but excited to do a few gigs with a young player like Tye. We look forward to welcoming our brother Fieldy back when we return to the States in May." The younger Trujillo is certainly putting most of us our efforts at his young age to shame.